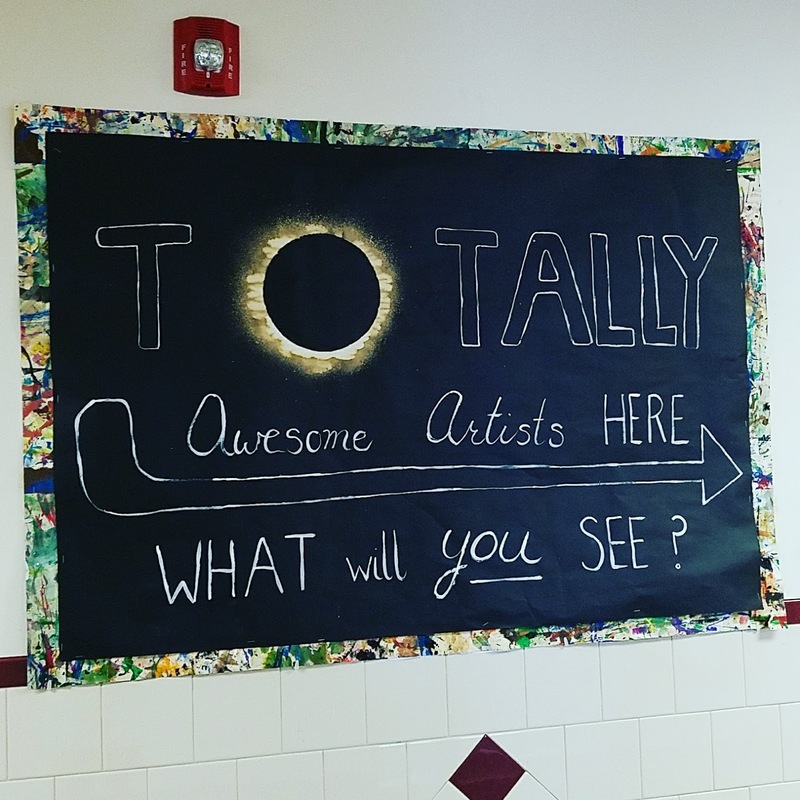 I jumped on the totality craze this Back To School week. Simple bulletin board created with black paper, spray bottle of bleach and a plastic container lid. I painted the words but you could use pre-cut letters or use a great font on the cutting machine. Take the paper outside (put some weight on the corners it so it doesn't blow away). Lay the lid down where you'd like it. Spray the bleach all around. Let the sun do the rest! This bulletin board could be adapted to any grade and any subject.... you could even change 'totally' to 'totality'. "Totally" awesome students....scientists....readers...1st graders...the posibiitiles are endless.